The BoardupCompany.com offers 24 hour emergency board-up services, emergency roof tarping, fire boardup services for the entire Los Angeles County area. We are not like other emergency board up services. What sets us apart from the rest is our attitude, and ability to handle any type of boardup closure regardless of shape size or elevation. With one call you’ll get you a fast reliable 24 hour emergency boardup company ready to respond to your emergency boardup needs. We also will provide you with an emergency glass company referral if available to assist you with replacing your broken window. Depending on the time of day or night, we may have to perform a window boardup until a glass company can respond to your glass repair. 24 hour emergency board up companies operate 24/7 year round, while other emergency board up services operate during normal business hours. 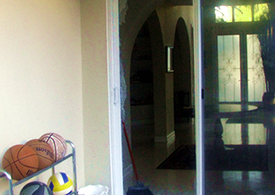 There are many emergency glass board up services in Los Angeles. How to choose which emergency boardup company to call is simple. A professional 24 hour emergency board-up company will not use a dispatching agency to field calls. They will also be upfront and clear about what they charge. Emergency boardup services can be costly. For this reason theboardupcompany.com will gladly assist any do it yourselfers with instructions on how to perform your own window board up.